A Cracker of a Day! Today was one of the warmest, sunniest days we’ve had so far this year. Not only was it the Wimbledon Men’s final (commisserations Rafa! ), but it was a true summers day. Having fun in the sun! 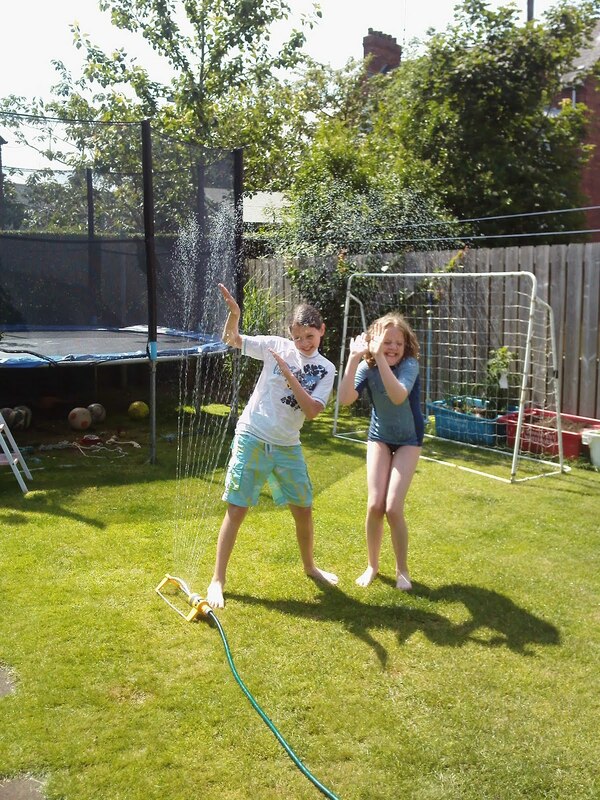 With a sprinkler!! I got my sewing machine back from the shop yesterday, but didn’t get near it until today. Who would have thought that a teeny clump of lint could cause such a noise (and I do clean my machine regularly Mr Sewing Machine Fix It Man, honest I do!). I’m way behind in the Kaleidoscope QAL being hosted by the lovely Elizabeth of Don’t Call Me Betsy. It’s lovely seeing everyone’s designs coming together over on flickr, and I haven’t posted a single photo there yet! At least I’ve chosen my fabrics. This is the stash I’m going to eat into to. I’m sure I won’t need all of these but I like to keep my options open! Today I made some headway in the cutting, lots and lots of cutting. 120 triangles, 240 kaliedoscope sections! And I’ve also finally got a design sorted. 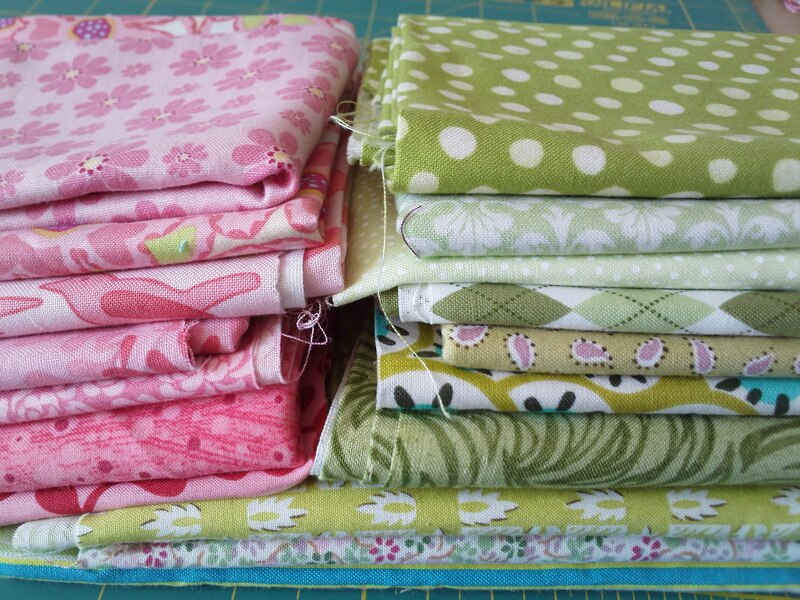 This will be a quilt for my youngest, who is passionate about the colour green, but I’m sneaking in some pink there too! Hope she doesn’t mind. I hope to start piecing soon and then I’ll show you some pics. I have also been sewing more on my lounge cushions (12 fronts and backs = 6 cushions) but will show you pics when I’ve completed them. The wadding is ordered for Crazy Daughter Quilt, the blocks have been sourced for Miss July’s Brit Bee Blocks and I have a tonne of teaching notes to write for up coming classes. All this with my 3 children off school and looking to yours truly to start chanting ‘Let Me Entertain You!’! Don’t hold your breath! Anyone fancy being my P.A? I could really do with one!! Previous Previous post: It's the first of the month, again!